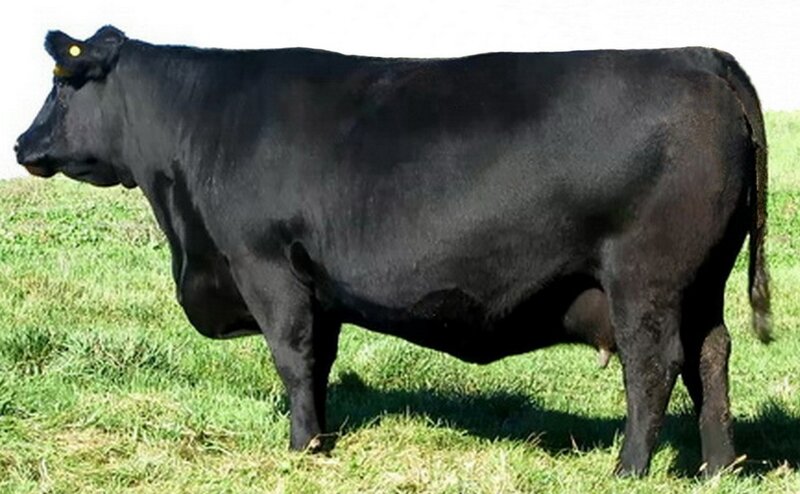 Here is a smooth made complete and sound moving bull that has excelled at every stage. His star-studded pedigree stacks 22 years and 10 generations of uninterrupted A.I. 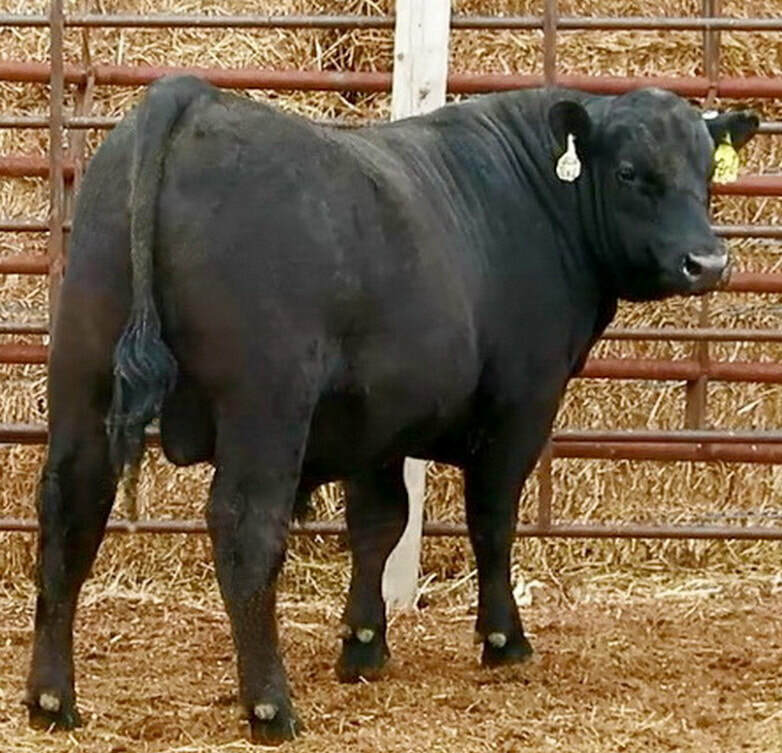 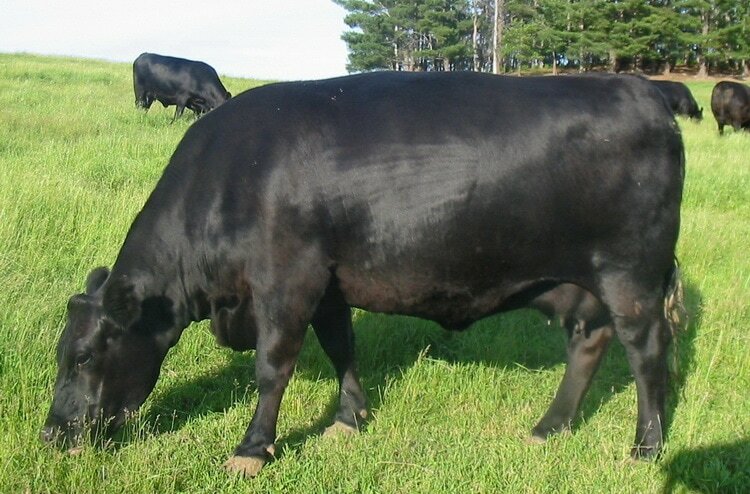 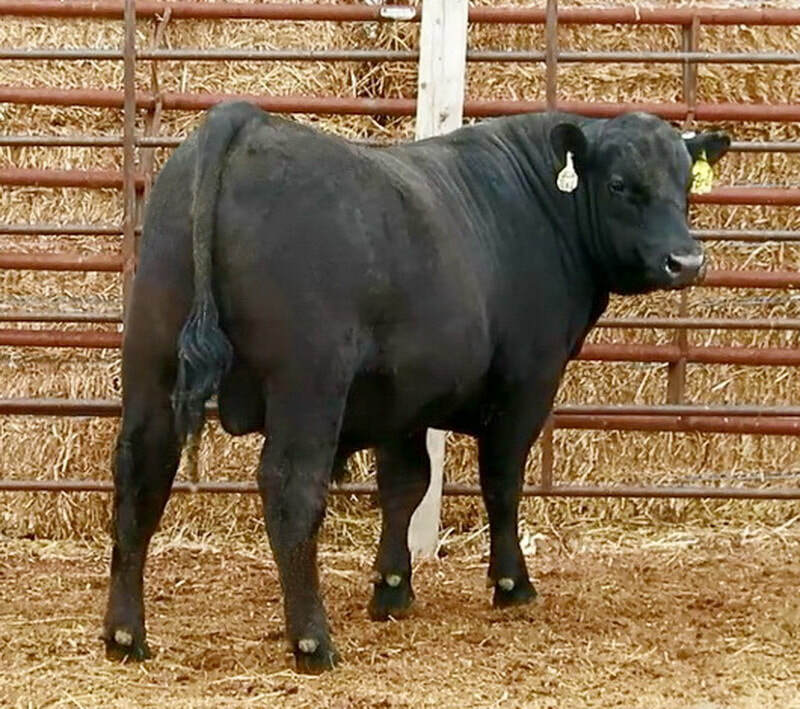 breeding by the most elite Sires in the Angus breed. 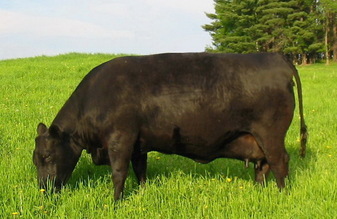 Small birth weight, heavy muscled calves, with explosive early growth are the trademarks of this cow family. 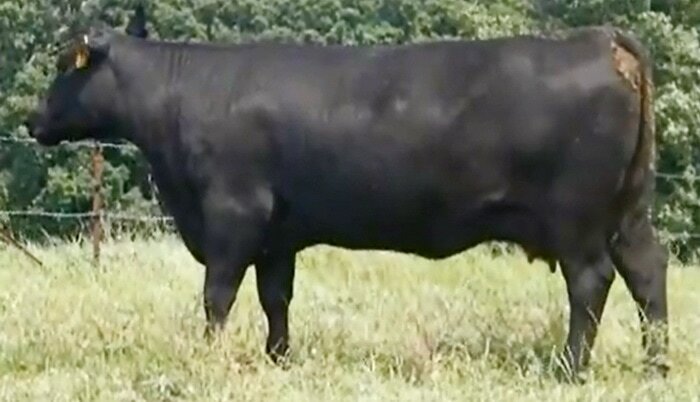 His Grand Dam earned a 109 Weaning Ratio, and 103 Yearling Ratio. 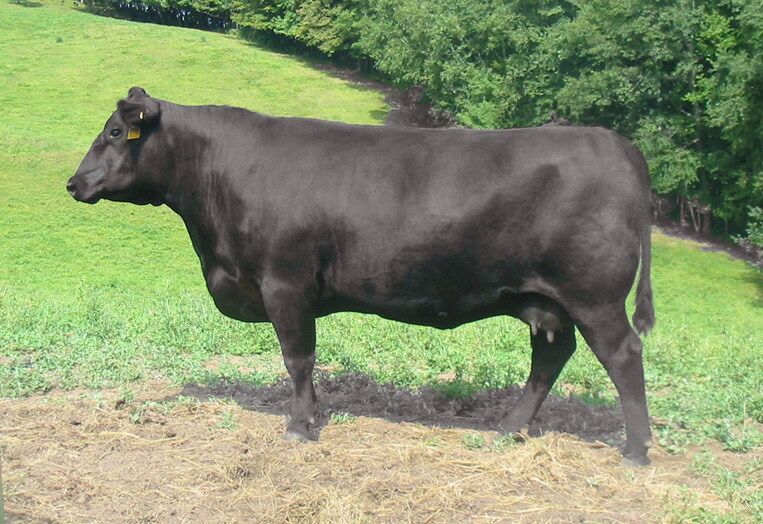 She ultra-sounded an excellent 7.25% Marbling and 10.8 inch rib-eye. 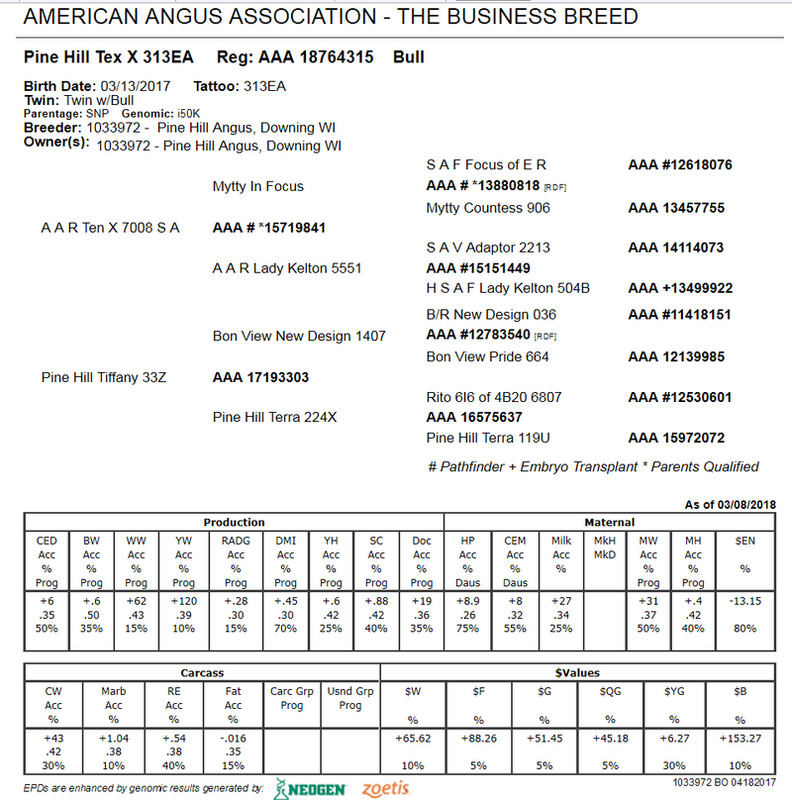 His Sire this legendary A A R Ten X offers proven calving ease, performance, carcass merit, and breed-leading $Values. 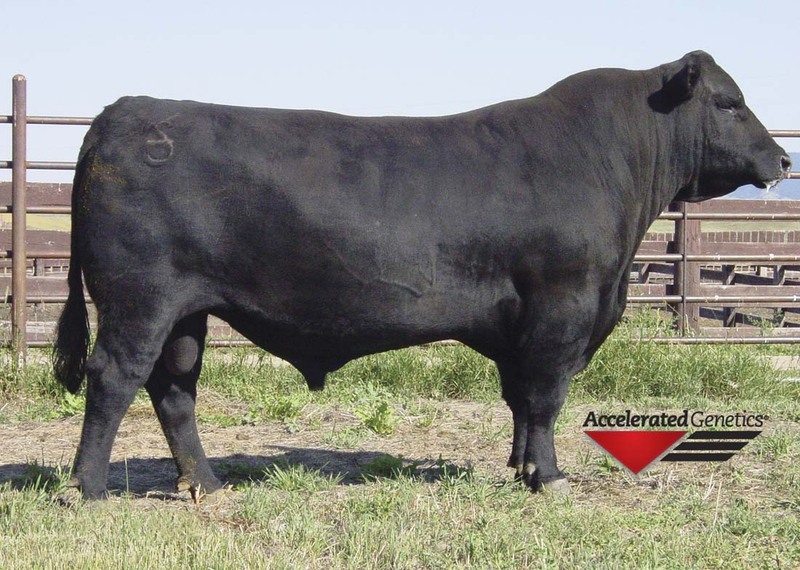 Here is a bull that combines a cutting edge pedigree with a superior EPD profile and a proven maternal ancestry. 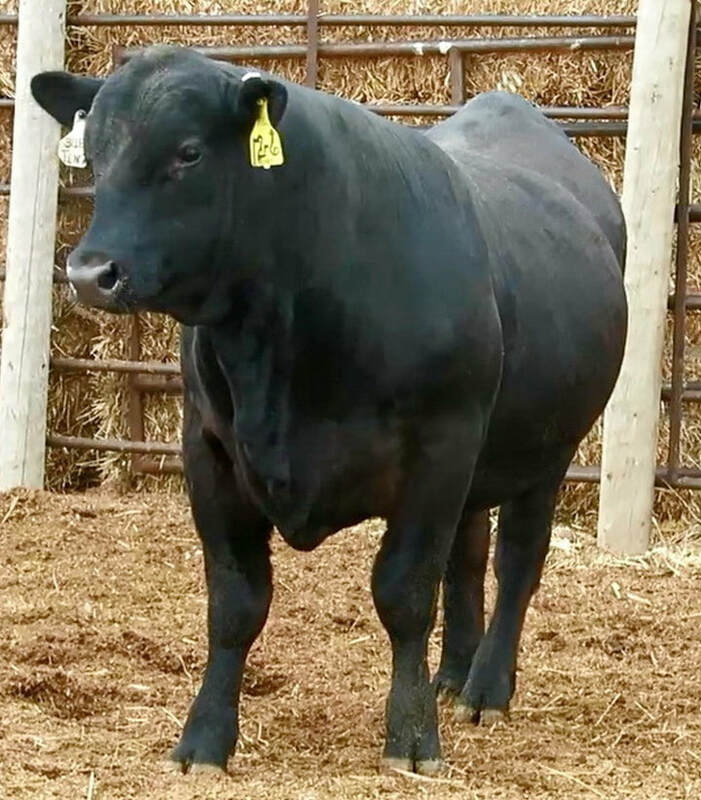 Actual Birth Weight: 69 pounds.